The Montecristo OPEN Master Tubos is a beautiful and accessible Habano, of Robusto format, of 50 ring gauge, 4.9” (124mm) long and comes in 15 aluminum tubes. Like other cigars from the OPEN series, this stogie is targeting aficionados that wish to smoke while doing an outdoor activity, and any inexperienced smokers. 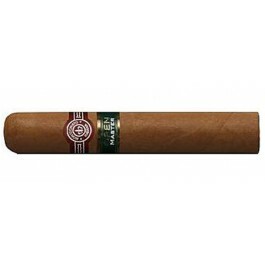 It is a cigar of a lighter blend compared to the usual vitolas from Montecristo, but it is of Montecristo standard nevertheless. It is a robusto size cigar that is ideal as a morning smoke or as a complementary companion for delicate wines and spirits. Its smooth character generates plenty of rich flavors of wood and tobacco and just the right amount of spice and bitterness. One can also detect here and there some hints of cocoa, of coffee, citrus and of nuts.